Pedro’s House Of Lamb was established by veteran restauranteurs of the Christchurch dining scene, Pedro Carazo and Iñaki Sanchez. The duo previously owned Pedro’s Restaurant which, up until the Christchurch Earthquake, was one of the oldest restaurants in Christchurch. Established in 1980, after Pedro Carazo immigrated to New Zealand, the restaurant was situated in the heart of the city. Pedro’s Restaurant was a Christchurch dining institution renowned for serving only the best traditional Spanish dishes. Carazo was joined in 1992 by his nephew Iñaki Sanchez and together they continued to build on the success of Pedro’s Restaurant. Sanchez credits the success of Pedro’s Restaurant to the fresh ingredients, vibrant Spanish atmosphere and the big personalities of his uncle. It was a family business with a heart, and it would have stayed that way, but on February 22, 2011 everything changed. 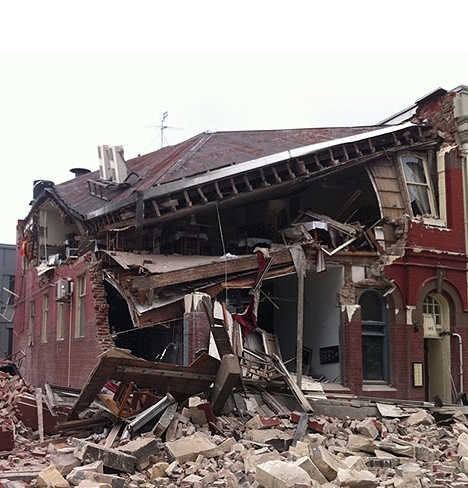 The Christchurch Earthquake destroyed Christchurch’s CBD, Pedro’s Restaurant included. For an outsider it’s hard to imagine the impact the earthquake had on Christchurch. The entire CBD was inaccessible for months forcing businesses out into the suburbs. Even now six years later the demolition of condemned buildings continues. This vastly changed landscape meant businesses needed to adapt and evolve. Business owners were forced to come up with creative solutions to a raft of unprecedented problems. For Carazo and Sanchez, the initial plan was to reopen the restaurant on the same site. But a revised City Plan put an end to that dream, by designating the area as a green space moving forward. They found themselves in a situation that required an innovative approach, which is when they developed Pedro’s House Of Lamb. Operating out of a modular container, located in a car park in the suburb of Merivale, Carazo and Sanchez started cooking again. They turned a much loved (and award winning) dish from Pedro’s Restaurant, Paletilla al Horno (whole lamb shoulder baked with rosemary, garlic and served with a side of scalloped potatoes), into a premium takeaway product. The concept proved a success and they haven’t looked back since.